Are you in the market for a midsize sedan or coupe that you can enjoy driving on a routine basis? If so, head over to Largo Honda in Florida City, FL. 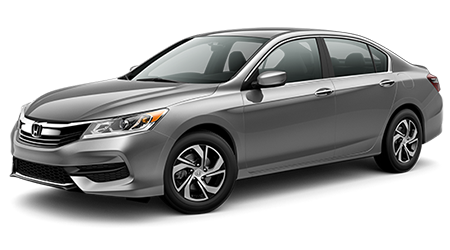 At Largo Honda, motorists can survey all of the latest Hondas in stock including the 2016 Honda Accord. As one of Florida’s premier Honda dealerships, we have served Hialeah, Kendall, Homestead, Coral, Gables and Miami, FL for a number of years with great prices on all Hondas. Visit Largo Honda at 554 NE 1st Ave. today and experience an Accord today. The 2016 Honda Accord gets one major upgrade that makes the midsize vehicle even better on the road. Both the Accord Coupe and Sedan receives new exterior and interior styling. On the outside, major changes include new multi-element headlamps, a new grille, new LED taillights, as well as a new lower air intake. On the inside, the Accord receives a redesigned center console, aluminum-trimmed sport pedals and more. As a midsize vehicle, the new Accord as two powerful engines for motorists to explore. The base Accord comes with a 2.4-L inline-four that produces 185 hp and can return up to 26/35 mpg when properly equipped (city/hwy). For even more performance and a sportier ride, the Accord can come with a 3.5-L V-6 that generates 278 hp and can achieve a fuel economy of 21/32 mpg (city/hwy) with the 6-speed automatic transmission. Whether you’re looking for fuel economy or a sporty ride, the new Accord can fulfill all of your driving needs. When it comes to getting into midsize vehicle that has all of the latest interior features and powerful engines to provide you with a sporty ride, the 2016 Honda Accord is an excellent option. At Largo Honda in Florida City, FL, motorists have the ability to test drive a large collection of new Hondas and will get a hassle-free experience. Stop by Largo Honda at 554 NE 1st Ave. today and test drive an Accord today.